Rapid screed is a traditional sand and cement dry screed mix engineered to reduce drying times and allows the 1st heating cycle to be carried out after only 15 days. It has reduced plasticity and workability reducing porosity and hygrometric shrinkage, which speeds up and increases development of mechanical strength and improves thermal conductivity. 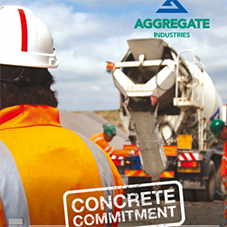 Lytag aggregate can be used within a screed system, potentially reducing the weight over conventional screeds by 50%. Can dramatically improves the insulation capabilities of screed systems. Replacing sand cement and anhydrite screeds with LytaScreed can reduce the thermal conductivity of that section by up to 80%. LytaScreed produces voids which increases the sound insulation properties of up to 6dB compared to sand cement screed. It is cementitious, therefore hydro-dynamically stable. Highflow S provides you with a high performance fast track solution to the construction of screeded floors. 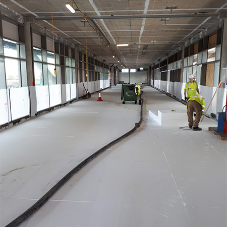 The unique formulation of Highflow® S, developed by us, presents significant advantages over traditional flooring screeds in terms of speed of application, increased accuracy of placement, possible reduction in thickness and thanks to outputs up to 10 times greater than conventional screed, significant cost saving to your project. It has high impact resistance and readily achieves the requirements for category C floors. The product is based on Alpha hemi hydrate or Anhydrite and is distinguished by a number of special technical properties. 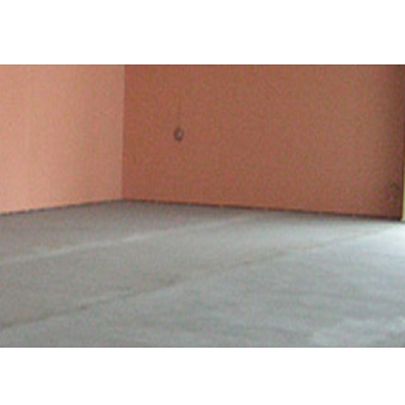 It has high impact resistance and readily achieves the requirements for Category A floors. The product is based on a calcium sulphate binder and is distinguished by a number of special technical properties. Screed flooring mix is a range of cement bound products produced under factory conditions and available in a range of grades from C5 to C30. This product is intended for use in the conventional applications envisaged by BS 8204-2 and is suitable for use in a range of environments including some outdoor locations. Many types are available in retarded form providing up to 12 hours working time, other times may be specified. It may be used in monolithic construction, unbonded or floating construction and bonded applications. It has optimised water content to ensure ease of compaction and can be pumped using air transport pumps.